1. 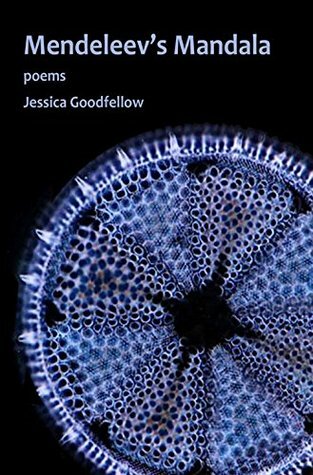 Mendeleev’s Mandala by Jessica Goodfellow from the poet for review. Mendeleev’s Mandala begins in pilgrimage and ends in pilgrimage, but nowhere in-between does it find a home. Logic is the lodestar, as these poems struggle to make sense out of chaos. Jessica Goodfellow reimagines stories from the Old Testament, Greek mythology, and family history by invoking muses as diverse as Wittgenstein, Newton, the Wright Brothers, and an ancient Japanese monk. In the title poem, Mendeleev’s periodic table, sparked by fire and by trains, sees the elements of the world come into focus as a geometric pattern that recalls the ancient mandalas, also blueprints of an expanding universe as a whole. 2. 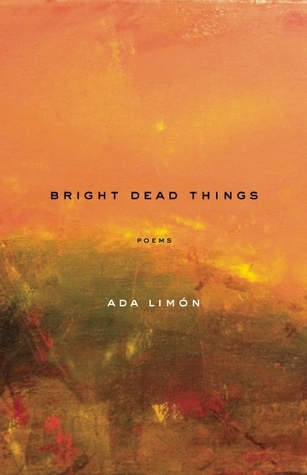 Bright Dead Things by Asa Limon from Milkweed Editions for review. After the loss of her stepmother to cancer, Ada Limón chose to quit her job with a major travel magazine in New York, move to the mountains of Kentucky, and disappear. Yet, in the wake of death and massive transition, she found unexpected love, both for a man and for a place, all the while uncovering the core unity between death and beauty that drives our world. “I am beautiful. I am full of love. I am dying,” the author writes. It’s this narrative of transformation and acceptance that suffuses these poems. Unflinching and unafraid, Limón takes her reader on a journey into the most complex and dynamic realms of existence and identity, all while tracing a clear narrative of renewal. 3. 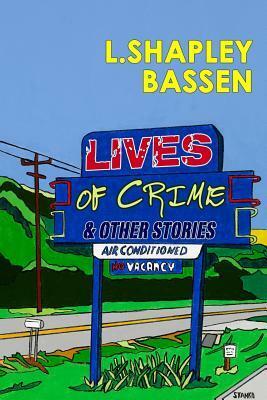 Lives of Crime and Other Stories by L. Shapley Bassen, an unexpected second review copy, which I will pass along to someone else. 4. 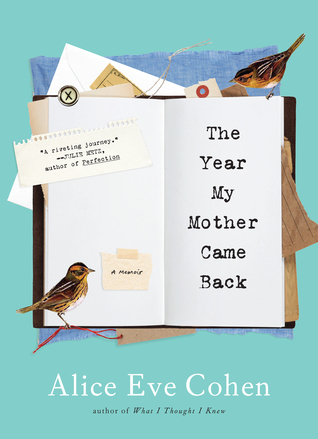 The Year My Mother Came Back by Alice Eve Cohen, an unexpected surprise from Algonquin Books. 5. 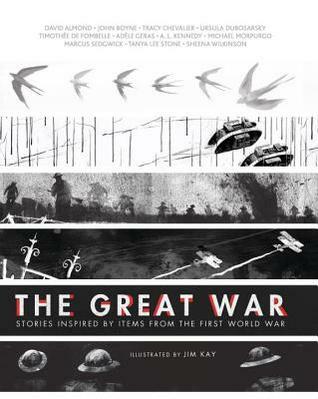 The Great War: Stories Inspired by Items from the First World War illustrated by Jim Kay from Candlewick Press for review. A toy soldier. A butter dish. A compass. Mundane objects, perhaps, but to the remarkable authors in this collection, artifacts such as these have inspired stories that go to the heart of the human experience of World War I. Each author was invited to choose an object that had a connection to the war— a writing kit for David Almond, a helmet for Michael Morpurgo—and use it as the inspiration for an original short story. What results is an extraordinary collection, illustrated throughout by award-winning Jim Kay and featuring photographs of the objects with accounts of their history and the authors’ reasons for selecting them. This unique anthology provides young readers with a personal window into the Great War and the people affected by it, and serves as an invaluable resource for families and teachers alike. 6. Strange Theater by John Amen from the poet for review. John Amen’s STRANGE THEATER takes the reader on a multifaceted journey, each poem a puzzle piece in a mysterious drama, a view onto a stage where dialogues and narratives shuffle and rotate, where characters improvise insights that blur the boundary between horror and the absurd. Offering a unique vision of contemporary life, Amen is a Virgil of sorts, navigating the unknown, plumbing the conscious and unconscious alike. Replete with compelling imagery and frequently shocking proclamations, STRANGE THEATER imprints itself on the psyche, Amen’s voice continuing to resound long after the final poem is read.